There are many different restaurants on the island of St. John that offer some incredible seafood entrees and truly delicious Caribbean fare. However, Miss Lucy’s St. John offers all that along with seaside dining. The variety you will discover on the menu is a testament to the blend of old St. John favorites with fresh and flavorful modern classics. Take in the waterfront sights of Friis Bay as you indulge in your Caribbean classics with a contemporary flair. For information on amenities and availability at the CimmaronStJohn vacation home nearest Miss Lucy’s St. John, check out Maison Miele! On Sundays, you can enjoy live jazz along with delicious food from the Miss Lucy’s St. John brunch menu. Whether you’re looking for lunch favorites like tender conch fritters or a generous paella filled with seafood or want a stellar brunch plate featuring a hit-the-spot omelet, Miss Lucy’s has got you covered! The Sunday brunch menu will have your mouth watering in no time. Some of our favorite dishes include banana pancakes, Eggs Benedict, and crab cakes with poached eggs on an English muffin. Yum! If you’re looking for a recharge in the middle of the day after a morning full of adventures, make a stop at Miss Lucy’s St. John for lunch. On Route 107 south of the village of Coral Bay, you will discover this favorite of St. John restaurants. Enjoy hearty meals, such as chicken sausage, delicious seafood, great paella, and snack-worthy conch fritters. You can also get dinner here, since Miss Lucy’s St. John is open Tuesday through Saturday from 11am until 9pm. On Sunday, you will have to find elsewhere to eat dinner, since Miss Lucy’s closes at 2pm. Though good food is the main draw for a restaurant, atmosphere comes in at a close second. Here on St. John, taking in as many stunning views as possible should be your vacation goal. You can achieve one beautiful scene while dining at Miss Lucy’s St. John. You will receive a wonderful view of Friis Bay while you lounge with a fresh sea breeze in the shade under waving palms. You will be truly relaxed in no time after enjoying both the wonderful landscape and food! Miss Lucy’s St. John is located in a great area of Coral Bay. Nearby, you can enjoy several popular attractions. Two of the closest hiking destinations are the Ram’s Head Trail and the Fortsberg Ruins, just a short drive away. You can also enjoy an outing to the National Park Beach at Salt Pond Bay. We suggest sunbathing here in the morning and then bringing your appetite to Miss Lucy’s St. John! 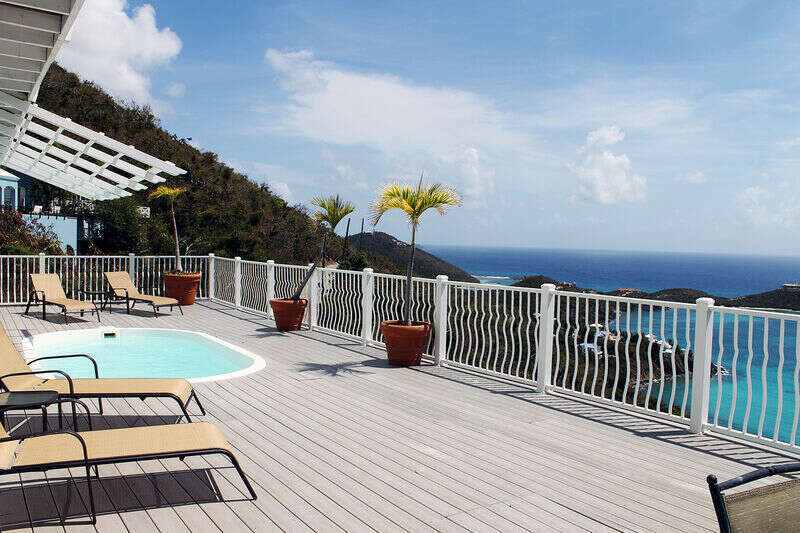 During your island adventures and culinary escapades, stay with us at CimmaronStJohn.Our private, luxury vacation homes offer a wonderful way to experience St. John! We hope to see you soon in paradise.